80 grams of Paleta Bellota Iberica (ham shoulder) from an Iberian pig. Discover these exquisite slices of Jamón in a comfortable sachet that you can easily open to taste it wherever and whenever you want. The Enrique Tomás sliced envelopes are vacuum sealed to preserve the product perfectly. 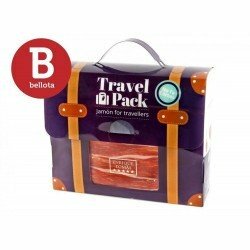 You will only have to open, let breathe and enjoy the intense flavour of this Iberico de Bellota product. 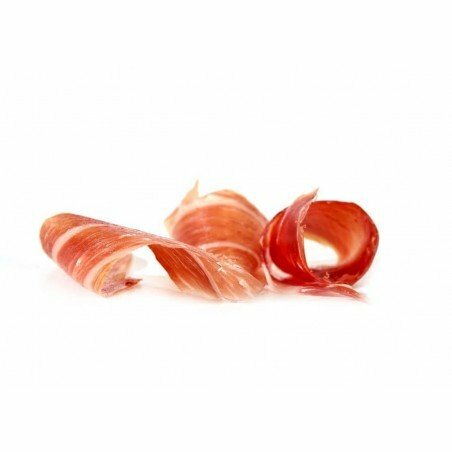 At Enrique Tomás we invite you to enjoy one of the jewels of our gastronomy, the Paleta de Bellota Ibérica or Ham Shoulder, a unique product that can only be made in the Iberian Peninsula, ideal for jamón lovers who want to taste a cured ham full of nuances.